The technology group Wärtsilä is to acquire Transas, a global company headquartered in the U.K. The move will speed Wärtsilä along its path towards its Smart Marine Ecosystem vision. Established in 1990, Transas is a global market leader in marine navigation solutions that include complete bridge systems, digital products and electronic charts. The company is also a leader in professional training and simulation services, ship traffic control, as well as monitoring, and support. Transas leverages the latest in machine learning and AI to create a unified cloud-based platform for managing operations across the entire marine ecosystem. Transas’ current annual net sales are in the region of EUR 140 million. The company has 22 regional offices worldwide and a distribution network that spans 120 countries. It has a workforce of approximately 1000 employees who will be integrated within Wärtsilä’s Marine Solutions business. The large base of software engineers will play a key role in assisting Wärtsilä with the development of smart products and a digital platform. This acquisition takes Wärtsilä a significant step closer to achieving its mission of enabling sustainable societies with smart technologies. It will also speed delivery on the company’s promise to disrupt the industry by establishing an ecosystem that is digitally connected across the entire supply chain, through applications that are secure, smart and cloud-based. The transaction is valued at MEUR 210 (enterprise value) and is expected to be closed during the second quarter of 2018. Wärtsilä’s Smart Marine Ecosystem is a vision whereby smart vessels connect with smart ports and beyond to deliver three fundamental industry benefits: maximising the use of resources and operational efficiency, minimising environmental impact and risk, and achieving the highest levels of safety and security. 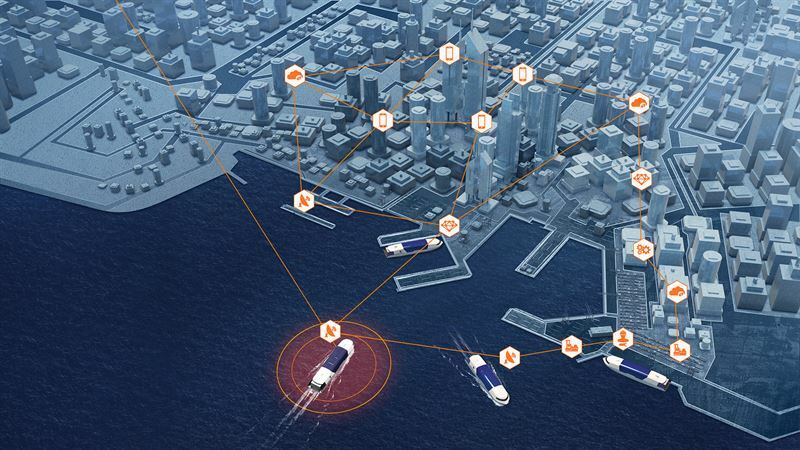 Through data integration, greater connectivity and cloud-based technology, Wärtsilä aims to resolve inefficiencies in the shipping sector resulting from overcapacity, sub-optimal fuel consumption, and waiting times at ports and other high-traffic areas. “Combining Transas with Wärtsilä will bring the Smart Marine Ecosystem many steps forward. We can now connect Wärtsilä’s product portfolio, the biggest in the Marine industry, with Ship Traffic Control, Simulators, Navigation solutions and fleet operation solutions from Transas. The combined package will further improve the way a vessel can sail in the most cost efficient and environmental friendly way for our customers,” says Roger Holm, President, Wärtsilä Marine Solutions. “It is incredibly exciting to have this opportunity to join the Wärtsilä brand in delivering the future of maritime transport. We share a common vision; one of a safer, more efficient, and more environmentally friendly maritime industry. The Transas team has significant competences in technology, along with a globally recognized leadership position in navigation, simulation and traffic control systems. Adding these to the extensive, world leading Wärtsilä portfolio of services and products, provides an unparalleled opportunity for a new ecosystem for maritime operations,” says Frank Coles, CEO of Transas. http://wcc.webeventservices.com/r.htm?e=1630669&s=1&k=8D196EF022DE896412133B92D54AD982. The recording of the press conference can be viewed via the same link. You will receive dial-in details by e-mail once you have registered. If problems occur, please press *0 for operator assistance. Please press *6 to mute your phone during the teleconference and to unmute. Image caption: Connecting smart ships with smart ports will deliver fundamental benefits to the marine sector.